The AWARDS SEASON continues in Park Lane with the biggest night of the year for British Farmers at the Grosvenor House Hotel. 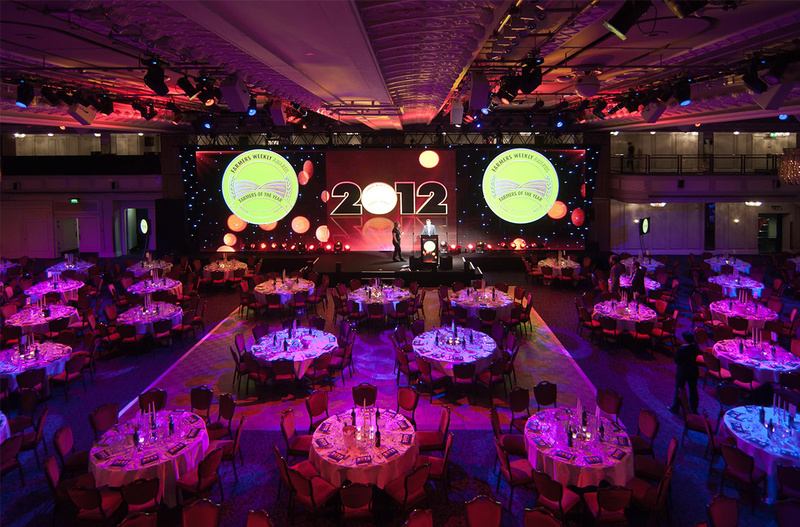 Farmers Weekly held the 2012 Awards in the Great room for 1200 diners from all over the country. Anna valley Displays provided the Visual Displays and Cameras for the event. H2 Events specified 2 x Circular projection Screen backed by 2 Pixled F-30 LED Displays and a 12mm DuoLed centre panel which combined to make a versatile and compelling backdrop for the Event.